Our affection for spectrums never ends. This latest find is one of the most creative. 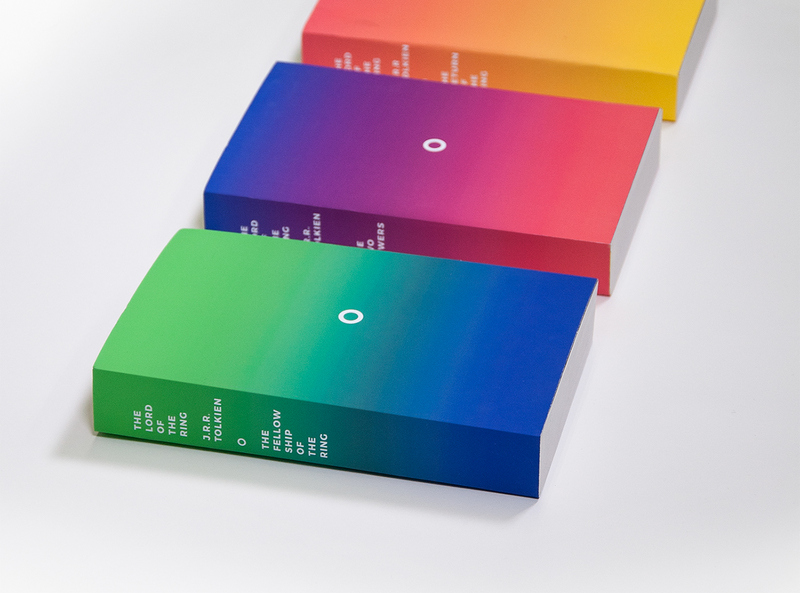 This Behance contribution by Matthieu Jeanson offers new covers for the Lord of the Rings series that features a minimalist ring and color gradients that complement each other while also relating to the storyline within.